I think I’ve found the right place to ask a question or two. I live in South-East Queensland, Australia – very luck, I know – with my husband and 13 year-old son. We have 40 wonderful acres of almost bare, slightly undulating land with heavy clay soil in the middle of an agricultural area. I have wanted to grow my/our own food for as long as I can remember, but until recently never made it a priority. We have been given the push that we needed to begin due to our poor financial experiences over the last 12 months. It is summer at the moment. February is usually our hottest month. We currently have a small aquaponics system with a few food plants and a few gold fish. We are having some trouble with rodents eating our food in the aquaponics garden beds. 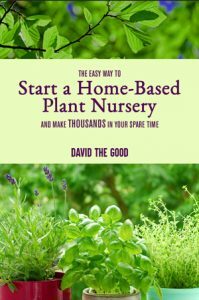 Finally, I get to the question: which plants should I start with, and how, to get healthy food fast with little to no spending? I know – that’s more than one question, and it’s a lot to ask. Notes: I am planning to put together a couple of wicking beds (we have 2 spare IBCs) and a reed bed or two (another IBC). The reed bed is because we don’t currently have a grey water system, and I hope to use the water from that for the wicking bed. I am currently studying permaculture, which I love, but feel totally out of my depth and don’t know where to start. Good work on getting that 40 acres! The fact that the land is inside an agricultural area means the market has already pre-selected your ground as being decent. Clay isn’t fun to work but it is often fertile. And feeling out of your depth is perfectly fine. There are about a zillion methods you can work with. Personally, if I were sitting on 40 acres of agricultural land, I wouldn’t bother with wicking beds, aquaponics or any of that stuff. I would go old-fashioned, wide rows. “If you have a lot of space, tilling up a big patch and planting row crops makes a lot of sense. If you have limited access to water, this also makes sense since wide rows with wider spacing are more tolerant of low water than raised or double-dug beds. If you plant your corn 6” apart in 12” wide rows, they will wilt if they go without water for a couple of days because all the roots in the bed are competing for a limited resource. If they’re spaced wider, the roots have more area in which to hunt for moisture. I’ve grown corn without irrigation in a sandy field at 3’ spacing between rows of corn planted 12” apart. I was amazed by how well it did. 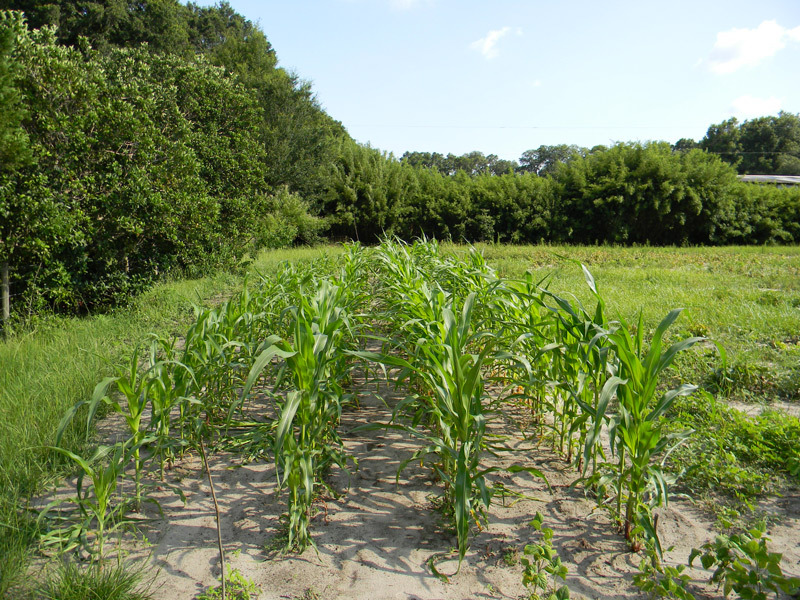 That same corn would have done terribly in a square foot garden without supplemental water. The other benefit of growing like a farmer with long rows is that you can grow a lot of food without having to put in borders or spend a lot of time digging. Hoeing the rows is easy in a big garden if you have a wheel hoe (more on those soon) and a stirrup hoe (ditto) to get in close around the base of your plants. On the downside, some needier plants definitely do better in a highly improved intensive garden. For straight up production, though – garden like a small farmer with nice long rows. If you have a smaller space, raised beds and biointensive plots make more sense. They allow you to cram a lot more plants into less ground. Add creative trellises to let some of your gardening go vertical and you’ll really be rocking the yields. Also, if you don’t have a tiller or a tractor (or the gasoline to run them), smaller beds mean less work to maintain. The close spacing of your crops actually helps keep the weeds down by shading the soil and choking out the competition. The downside is the need for more water along with the labor involved in preparing the soil. Even with those considerations, biointensive beds in particular are much easier to feed efficiently than larger row gardens. 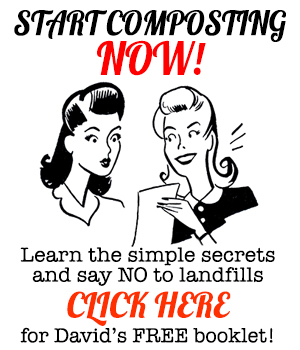 It takes a lot less compost for the same results. If you were to try and feed a giant row garden with manure, you’d be doing a LOT of shoveling for a LONG period of time. Smaller, tighter, plant-packed beds take some of that time-consuming materials handling out of the picture. In my gardens I mix multiple methods but generally stick to double-dug or at least broad-forked (we’ll get to broadforks soon!) beds because of our lack of space. When I borrow larger patches of ground to grow corn and beans, I like wide rows. I love open spaces and a wheel hoe for growing calorie crops. And calorie crops are what you should grow if you want to save money on food. Roots, in particular, and perhaps grain corn and pumpkins/winter squash. Beans may be good for your area. I’m not sure if you’re inland, where the weather is more temperate, or near the coast where the climate is mild. If the latter, definitely plant true yams as a staple calorie crop. Along with that, plant some high-nutrition salad/health crops such as kale and herbs. After those, go for luxury items like lettuce, tomatoes and peppers. 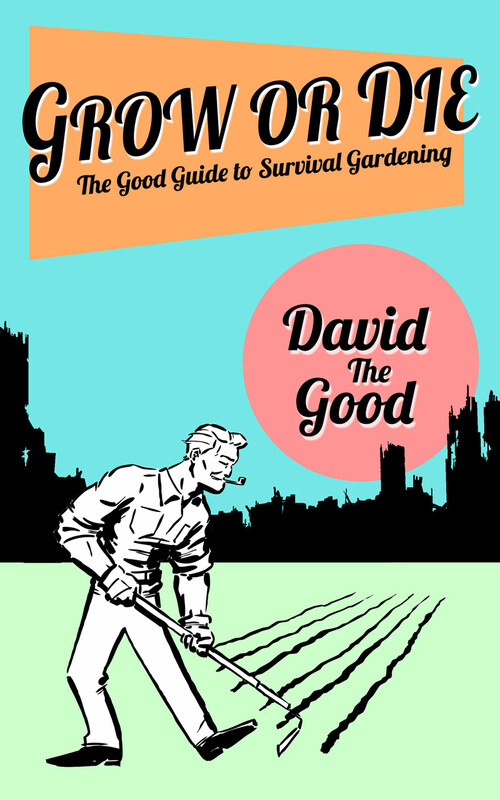 I have a ton of crop-growing info in Grow or Die, and I would also add Steve Solomon’s book Gardening when it Counts to your library. Also, since you have 40 acres, I highly recommend researching fruit and nut trees for your area, provided the climate supports it. One way to narrow your plant options down is to consider which produce you like and spend the most on, then grow that. And, as always, ask questions any time – I’m happy to help. I think I would plant a number of Moringa trees. You may not keep them where you plant them, but they will help with the soil. They will grow quickly and can be used for fertilizing the soil by chopping and dropping. Plus they provide nutrition for you and your family as well. I live in Brisbane which is in SE Queensland & a transplant from the cold of North Dakota in the US. 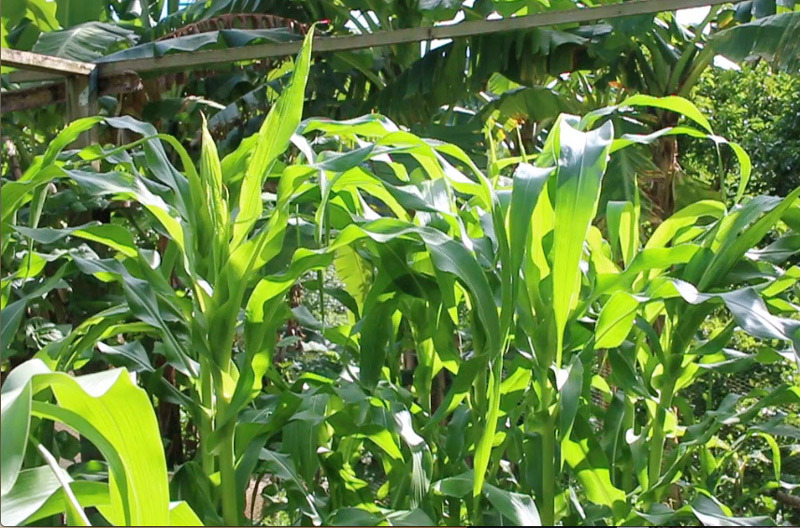 Some tips I’ve learned the past two years growing food in the subtropics. True yams are hard to find but can be found and they grow like weeds in decent soil. Dioscorea alata (called winged yam/greater yam in Oz) can be found in two varieties, white & purple. I found the white online at eBay and greenharvest.com.au, purple I found at a local Asian grocer. You can buy Pacific Plantains from http://backyardbananas.com.au/ They are a starch cooking banana. Delicious fried and like a potato. For fruit trees I’d recommend mango, mulberry & any citrus for the most trouble free growing. We have the devastating native QLD fruit fly which you need to take into consideration as they will destroy your whole harvest of stone fruit and other softer fruits like guava, figs & tomatoes. I’d also recommend macadamia trees & pecan trees as some nut trees. If you are closer to the bay or ocean you can grow more tropical trees like lychees as it is rare to get a frost. If more inland then more apples, pears, stonefruit & only with a fruit fly strategy. 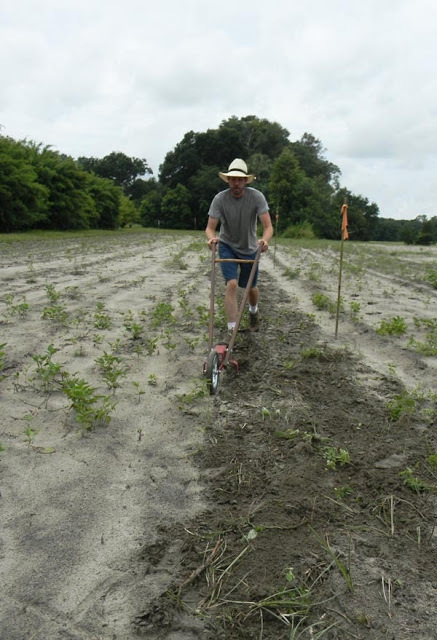 To prepare the soil: Pigeon peas grow great & are helpful in breaking & conditioning clay as a pioneer plant.